I keep meaning to join in Kate's Listography series. Some of the posts that are dotted around the blogosphere created from her prompts make me HOWL laughing! 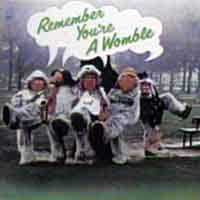 This week I've just got to join in completely embarrass myself as the theme is "First Five Albums". Now, before you read my answers, please bear in mind that I am a child of the Seventies and I only really discovered music during my teenage years... and we all know what was wrong with the Eighties, don't we? The following albums are all to do with parental influence part of my definitive childhood. Don't you dare diss it! You can click on each of the images to be taken to the track listing of each album if that's what floats your boat. Now we move on to a time when I was had a little record player in my bedroom. For some reason my mum always left music or stories playing whilst I was falling asleep. I don't remember being afraid of the dark but I always remember having the background sound and the landing light on. It is a habit that has stayed with me ever since and I still nod off listening to podcasts or with relaxing music on. The next album - Danny Kay sings Hans Christian Anderson and other favourites - was the one that I always requested. My two favourite tracks were Inchworm and Thumbelina. In fact, I can close my eyes and still here Danny Kaye's voice singing the words and I'll never hear it any other way. Edit: Thanks to Wendy's influence, my lack of self-control and a yearning for nostalgia, I nipped over to Play.com and bought this album. I am going to introduce my grandchildren to the wonderful world of Hans Christian Anderson and the lovely tones of Danny Kaye. Now the next album probably belonged to my parents but I claimed it as my own. I'll never forget seeing Bobby Farrell doing the Ra-Ra-Rasputin dance on Top of the Pops (circa 1978) and then falling in love with Mary's Boy Child in the same year. I adored the beaded caps that the ladies wore and the soulfulness of the songs. 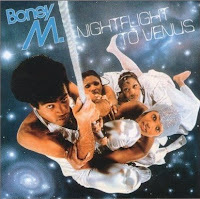 Nightflight To Venus was my first foray into "real" music and that album cover is just to die for (plus that random stockinged foot on the album cover always fascinated me)! We have to fast forward now to 1983. This is a year of massive importance as it is the year I moved from primary school to high school and grew up overnight. By the time I had been at school for less than two months I had discovered Duran Duran - a music influence that was to stay with me for the rest of my life. 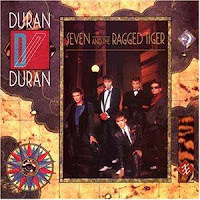 The album Seven and the Ragged Tiger was high on my wishlist and I managed to save up my pocket money. If albums could have been worn out by being played too much then that is exactly what happened with this. It was my introduction to The Reflex (fle-fle-fle-fle-flex...) which is still a firm favourite today and I still have the album in the loft somewhere. Last, but by no means least, is the first album in a series that has now become a national treasure and I am proud to have been there at the beginning. 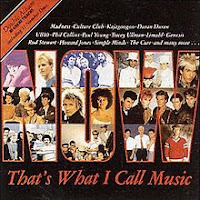 Now That's What I Call Music used to be released once a year (if I remember correctly) and had the best selling singles of the year on it. This album introduced me to the song Kissing With Confidence, one which I mentioned a few days ago on Facebook as one of the songs that I hadn't heard in a while but knew every single word to. I'm not sure that's something to be proud of or ashamed of... I am sure I still have the cassette version of this but not sure whether it is here or at my sister's house. I found "Now 2" in a bag of tapes a few months back. If you are reading this on Facebook and don't blog, I'd love for you to share your First Five Albums in the comments under the post. Don't let me be the only one with a checkered musical start in life.